Street performance, also known as busking is practiced all over the world and dates back to antiquity. 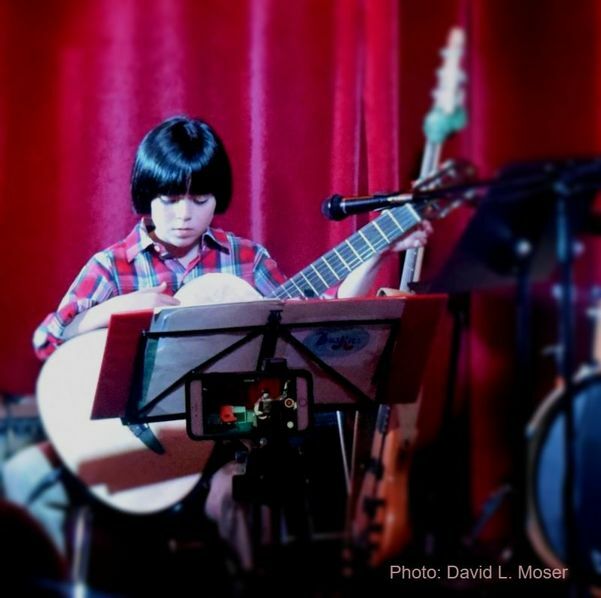 Older brother Andrew (12 years old) provides the complete rhythm section for the band, juggling an amplified classical guitar, stomp drum, percussive pedals and harmonica! 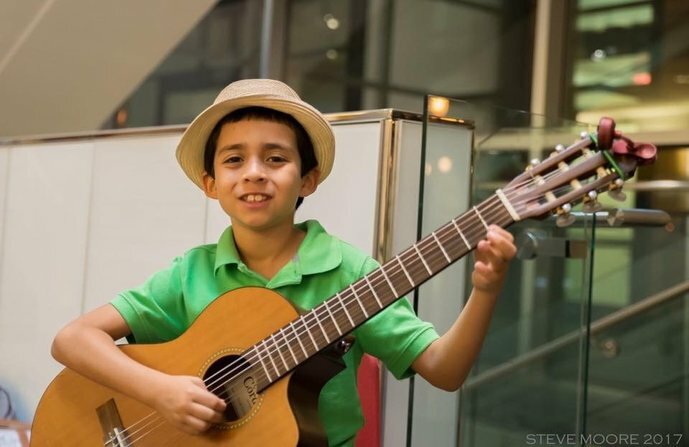 Andrew began taking guitar lessons at 4 years old, and has kept studying music ever since. He's an avid solo classical guitarist with awards for solo performances at the Appalachian Guitarfest and the Boston Guitarfest. Andrew practices several hours per week and he's exploring the piano, harmonica and new genres like choros, bossa nova, blues, ragtime and Gipsy Jazz. Kyle (10) is the lead melody maker in the band, he plays an amplified classical guitar, and percussive pedals. Even though he's an avid note reader, he has memorized an entire set of instrumental renditions! Kyle started playing the guitar at 5 yrs. old on a 1/4 size guitar. He joined his brother and made up The Buskits when he was only 7. Music performance has been a fun and positive experience in their personal growth but it hasn't been possible without persistence, dedication and commitment. We thank everyone out there who have encourage them along the way, from tutors to friends to casual and attentive audiences from all walks of life, for their friendly advice, encouragement, engagement and gracious donations. As parents, we’ve always instilled in them the value of artistic expression and the importance of sharing with others. It’s a joy to see how people respond to them, folks are always praising them for their talent and endeavor, and us for encouraging and supporting their efforts. We’re very proud of them, not just because they’re great kids, but because they have the opportunity to inspire and influence others in a positive way, specially children and young parents. We’re committed to help and guide our kids in this music venture, all while keeping a good balance of school and leisure, as their dreams are big! Plans for the future include new pieces, recording, traveling, TV and radio appearances and much more! Andrew, Kyle and Chris (Dad). Dad always looks after and assist us while performing.